7 members: 4 altos, one bass who sings mostly melody, one “I AM A FIRST!” soprano, one overly dramatic quasi-tenor ( The only-child of the “FIRST!” soprano. His voice isn’t quite done changing yet. He’s not at choir voluntarily). 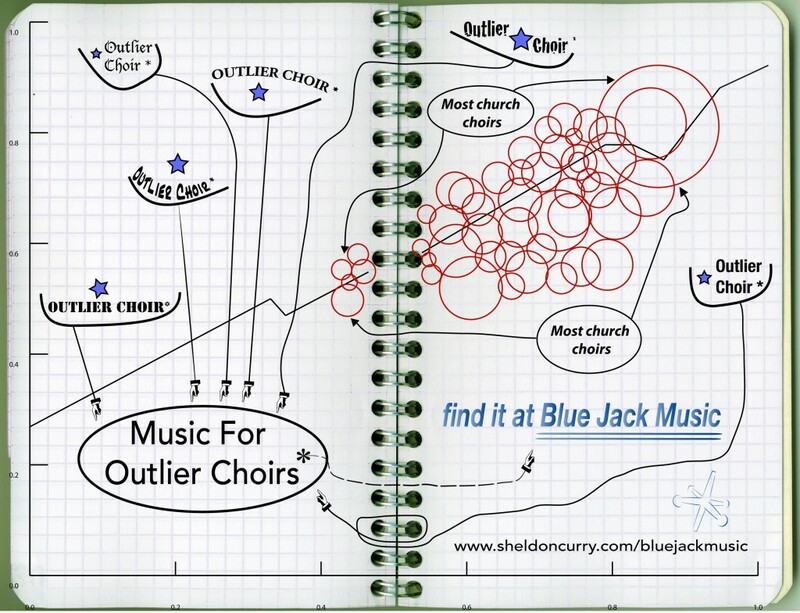 Pieces found in Music for Outlier Choirs are written with the latter choir in mind. The accompaniments are fairly simple. The voicing is adjustable. The subject matter and liturgical use are broad-based and practical. If you need something changed to suit your individual situation, I’m happy to walk you through changes or, depending on how extensive they are, make them myself.